Shiva Tattva Yoga School is a RYS 200 Yoga Alliance that is represented by Starlim India for the study of Kundalini Yoga Teacher Training in Rishikesh, India. At Shiva Tattva Yoga School you will be able to undertake the 200 Hour Kundalini Yoga Teacher Training as a part of the yoga teacher training course. 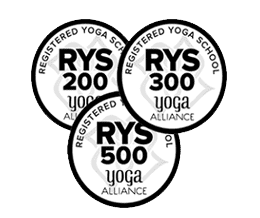 Kundalini yoga course has been designed to match the guidelines of Yoga Alliance as recommended for Rys 200, 300, 500 - Yoga Alliance recognized schools. What is Kundalini Teacher Training Course? The 200 Hour Kundalini Yoga Teacher Training Course at Shiva Tattva Yoga School lays emphasis on the science of consciousness, the awakening and increasing of Kundalini energy through chakras in the body. The Kundalini yoga program is a beginner level course where aspirants are introduced to the Kundalini forces which govern a particular area of the body. You will learn to experience the harmony of cosmic energy and eliminating negative energy once you register for the course. Since Kundalini is the science of bodily energy it requires you follow the code of conduct in order as mentioned in the ancient yogic texts in-order to be able to gain any sort of achievement is using this energy. Therefore, the Kundalini teacher training course teaches aspirants the code of conduct for a better understanding of how to use Kundalini energy. The Kundalini Teacher Training Course syllabus at Shiva Tattva Yoga School includes the regular 200 yoga teacher training course along with an introduction to Kundalini. The aspirants will understand the Chakra, various layers of pranayama and meditation along with the practice of various mudra and bandha. During the course, the participants must follow the guidelines of the experienced Kundalini yoga instructor. In their free time, aspirants are encouraged to practice breath control which helps to practice Kundalini yoga. Since Kundalini yoga requires an intensive practice you have to be ethical and follow all applicable yogic principles. Also, Kundalini yoga needs a long-term practice and you should not expect immediate results, just on completion of course, but regular practice could see you gain good results.